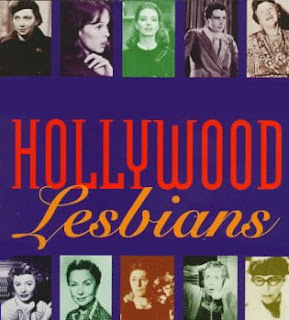 In this exclusive audio interview Emmy Winner Charlotte Robinson host of OUTTAKE VOICES™ talks with author Boze Hadleigh about his new updated edition of “Hollywood Lesbians: From Garbo To Foster” published by Riverdale Ave Books. This is a rare collection of exclusive interviews with Hollywood icons from the Golden Age of movies and TV including Dame Judith Anderson, Barbara Stanwyck, Capucine, Ann B. Davis, Nancy Kulp, Sandy Dennis, Agnes Moorehead, Edith Head and Patsy Kelly among others. There’s also fabulous stories and insight about Jodie Foster, Rosie O'Donnell, Ellen DeGeneres, Jane Lynch, Ellen Page and more. 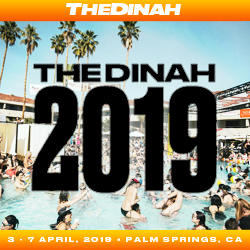 Renowned entertainment journalist and historian Hadleigh goes straight to the source and opens the film world and television’s closet door of yesteryear and brings it full circle to today with new fabulous material. This is a fascinating exploration of our LGBTQ community’s depiction and survival in the entertainment industry over the past century to present day. We talked to Boze about his inspiration for revising “Hollywood Lesbians: From Garbo To Foster” and his spin on our LGBTQ issues. Boze Hadleigh is the foremost writer on LGBTQ Hollywood. His 22 books have been translated into 14 languages and yielded 11 TV documentaries and three plays. He holds a master’s degree in journalism, speaks five languages, has visited over 60 countries and even won on Jeopardy! His titles also include “Hollywood Gays”, “The Lavender Screen”, “Sing Out!”, “Broadway Babylon”, “Celebrity Lies!”, “Marilyn Forever” and “An Actor Succeeds” to name a few. “Hollywood Gays” and “Hollywood Lesbians: From Garbo To Foster” are available on Riverdale Ave Books. Boze Hadleigh is a fascinating man. His point of view and sense of history is intrinsic to this interview and I thoroughly enjoyed it.